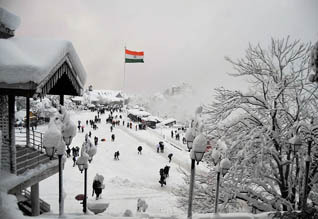 Shimla: Winter vacations in schools in Himachal Pradesh's state capital Shimla and Multhan sub tehsil of Kangra district have been extended by two days following heavy snowfall, district officials said Sunday. In their orders, the district magistrates said the schools in Shimla district and Multhan sub tehsil of Kangra district would now reopen on February 13, instead of February 11. The decision to extend the winter vacations was taken in the interest of safety of the students as several roads are still blocked after heavy snowfall on February 7, the Shimla district magistrate said in an order Saturday, adding that the work of clearing the roads is going on. Similarly, Kangra district magistrate said in an order Sunday that the decision to extend winter vacations in Multhan sub tehsil schools was taken as roads have been badly damaged due to heavy snowfall and rain in the last few days. When will the physical test for an engineering aspirant be done?